from Oseberg, Borre and Jellinge to Mammen, Ringerike and Urnes. 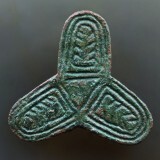 Some representative examples are shown below (in "Viking Age Art Styles"). Runic inscriptions are similarly evocative of the age. 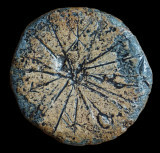 The four examples shown below are on a silver coin, a lead disk, a piece of sheet metal and a spindle whorl. I grew up in Yorkshire, surrounded by Norse place names (including the main streets of my home town), and it was fun to find familiar words during the years we later lived in Norway. In Yorkshire, there was Jorvik at York; the battleground of Stamford Bridge (site of the battle in 1066, following the burning of Scarborough in September of that year); and the Gauber High Pasture "Viking Site" at Ribblehead (as a young teenager, I took part in the excavation, which was led by Alan King - my parents owned one of the nearby Ribblehead railway cottages). 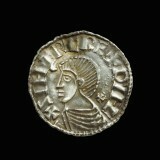 In subsequent years (1987, 1995, 2015), there were visits to Lindisfarne, site of the first well-known Viking attack against England (in 793) and Iona, which was raided by Vikings in 802. We saw a tower built to defend against such attacks in Ireland at Monisterboice (2008). I should not forget Dyflin (after the Irish Dubh Linn), visited again with the family in 2008, once ruled by Sygtrygg Silkbeard. More recently (2013) we stopped to see the famous cross at Gosforth, Cumbria, an evocative piece of Viking art and symbolism. In Iceland (1988), I visited Thingvellir and saw Ingólfsshofði (said to be where Ingólfur Arnarson originally landed in 874). The form of the Viking ships was long an inspiration and in 2001 we visited the Viking Ship museum in Oslo to see them. We also visited Roskilde in Denmark, famous for its five Viking ships. In the Stavanger area where we lived, there were various Viking relics to be seen, such as the Klepp runestone, the Havrsfjord site of Harald Fairhair’s victory in the late 9th century, and the Talgje church runes. The streets in Stavanger gave me the meaning of the street names in Leeds (Briggate and Kirkgate). I was pleased to find I could read some of the runestones on my last visit to the Stavanger museum (2012). On Orkney (2008) we saw the Brough of Birsay Viking longhouses and enjoyed the puffins. The runic graffiti in Orkahaugr (Maeshowe) was also very entertaining, in a magical burial mound ("tomb raider") context. According to the Orkneyinga Saga (Chapter 93): "On the thirteenth day of Christmas [this was 1153] they travelled on foot over to Firth. During a snowstorm they took shelter in Maeshowe and two of them (his men) went insane which slowed them down badly so that by the time they reached Firth it was night time." In Venice (2004) we saw the weathered runic inscription on the Piraeus stone lion (plundered by the Venetians in 1687) and, in 2006, I visited the area of the Baltic-Volga waterways used by the Rus' for migration, trade and adventure. 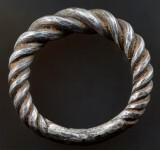 There is even a connection between our time in Oman and Viking culture, given the appearance of Arabian silver in Viking hoards and the use of Arabian dirhams and cowrie shells in their jewelry. Recently, I visited L'Anse aux Meadows (August 29th 2014), an evocative place recording the Norse presence in North America about a thousand years ago. In the summer of 2015, I finally got round to visiting the famous Viking Age crosses and "hogbacks" to be found in a number of North Yorkshire churches. We also climbed Roseberry Topping, once Othenesberg ("Odin's Hill").